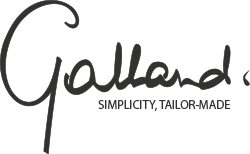 Galland.be is not a typical web agency. We start form a business perspective and reflect on what your customer expects to get from the web when he is thinking of you and/or your competitors. We do not mind working together with your existing web agency if you already have one. Because, basically, this is the main thing we do: we adapt your business story to the expectations of your online audience. A customer-oriented website is all you need. Over time, we noticed that true success is always in one way or another related to how customer-oriented you are. Our services range from expert audits of your current website, creating a new customer-oriented information architecture for your website or implementing a new website. 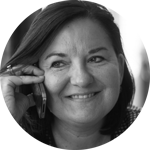 In some cases it is advisable to start with a business innovation exercise, especially when your company is getting the flavour of going customer-centric in general. We often hear marketers or sales people that their company encounters technical issues that prevents their website from being properly index by Google or other search engines. And indeed, Google is also always on the lookout to penalize “over-optimized” websites as they call it. Galland.be has chosen to be a truly white-hat SEO partner and this choice has proven to be successful over time. We provides Search Engine Optimization (SEO) and Search Engine Advertising (SEA) services adapted to your needs, while always focussing on the long term and the benefit of your (potential) customers. The nice part about online marketing is that almost everything is measurable; the bad part is that everything is measurable. When using Google Analytics or other web metric tools, you end up with a lot of data. You end up with lots of charts. But what is the conclusion? Or even better, what will be the next steps? A Content Management System is a tool to manage the content of your website. A customer-oriented website can be created with any type of CMS. Our online strategic advice and search engine marketing advice are therefore CMS-independent. For the majority of the projects we do, we opt for industry-standard open source systems like WordPress or Drupal in order to avoid additional licensing cost. In some very specific cases, e.g. when there are specific performance issues involved, or any other type of parameters that may be important. Be where your customers are: preferably, in the real world, but also beyond. Depending on the business you are in, your customers and potential customers are actively using social media like Facebook, Twitter, Pinterest, LinkedIn and the likes. Not to mention the wide range of professional apps on their mobile devices. So, where should you be? To whom should you be listening and what should you be talking about and why? We offer an introduction to social media training as well as in-company workshops to develop a tailor-made social media strategy for your company. In addition to workshops, we can also support your strategy by managing your social media accounts, and even provide social media coverage of your company events, tradeshow presence and any other type of activity that is relevant to get the conversation going.